Night clubs have been a fixture of urban life for at least a century. From Speakeasies to cellar discotheques, they are the low-lit preserves of the city at play. A place to hold the night at bay; a club should imbue both intimacy and abandon. Although the alchemy for success is unpredictable, the ingredients are simple, music, punters and alcohol. Countless night spots have succumbed to obscurity; those black door-ways and garish neon signs that once promised so much are long since forgotten in the relentless redevelopment of contemporary cities. 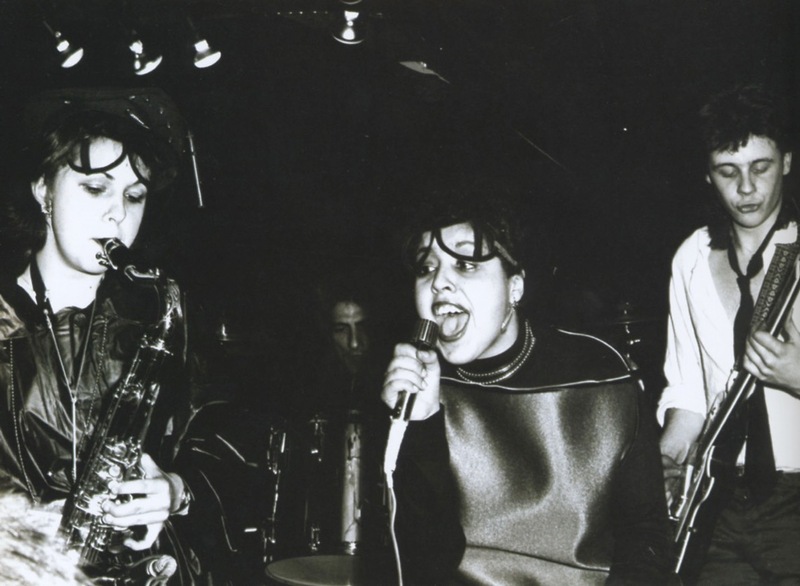 Rare are the clubs that make their mark on history; those few that have left behind an indelible imprint include The Cavern, The Marquee, Whisky a Go Go, Max’s Kansas City, CBGB’s and The ROXY. Although widely disparate, each was the flagship of a scene. From the Beatles to the Doors to the New York Dolls and The Clash, iconic pop culture is rooted in club land. It’s not about money but purity of expression; the best night spots usually lean to the seedy. 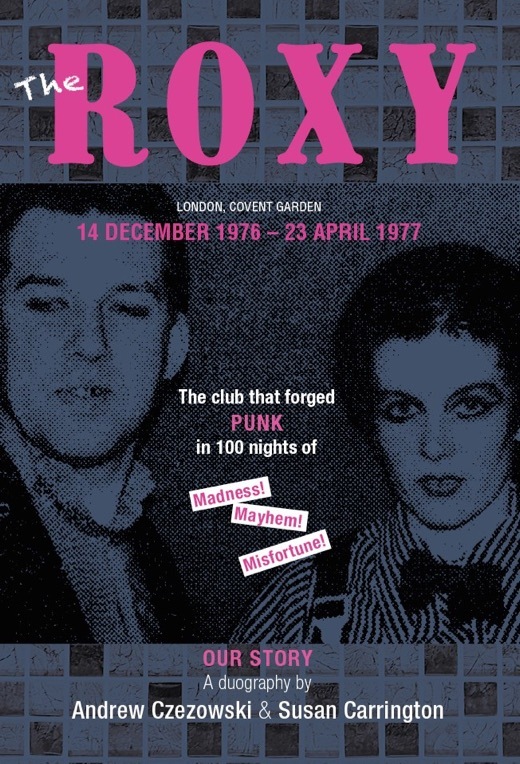 Punk’s foremost club, The ROXY flourished despite it’s less than salubrious neighbourhood. When enough time has elapsed we remember and succumb to nostalgia. 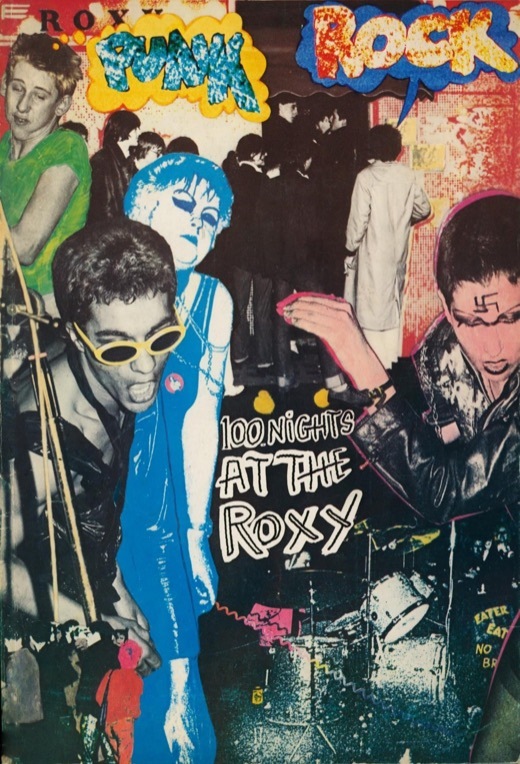 In February 2013, the esteemed broadcaster Robert Elms fondly recalled The ROXY on BBC London, reminding listeners of London’s premier punk haunt. It has been almost 35 years since Andrew Czezowski and Susan Carrington were unceremoniously ousted from The ROXY. Until then, they had run, fleet footed with the moment. Generous and idealistic, they turned a forgotten Covent Garden dive into the molten core of 1977, providing a platform for largely unsigned bands, including The Clash, The Heartbreakers, The Police, The Damned, Siouxsie & The Banshees, Generation X, The Buzzcocks, X-Ray Spex, The Vibrators, The Rejects, The Stranglers, The Slits, Johnny Moped. Virtually every single act that played The ROXY walked away with a record deal. Harpers & Queen magazine lauded the club, whilst John Bonham, Jimmy Page Robert Plant, Donovan and Marc Bolan came to pay their respects. 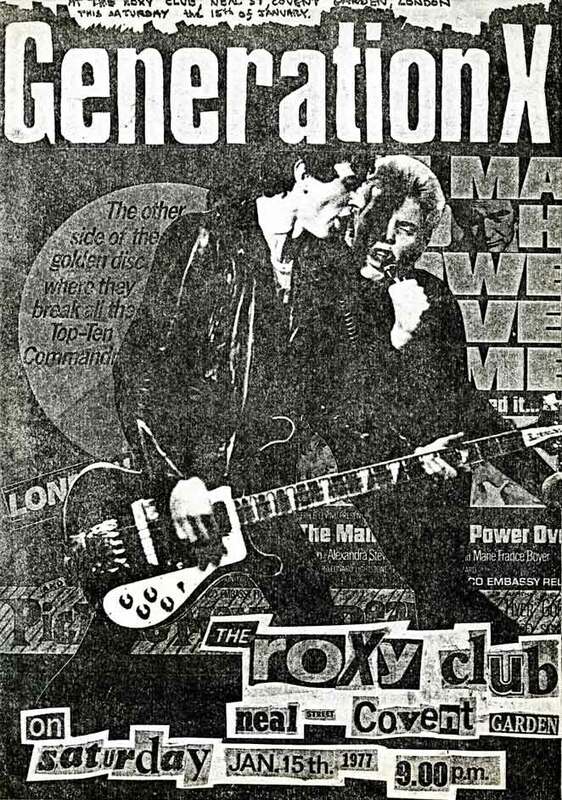 Although The ROXY enjoyed a high media profile, attracting the music, tabloid and fashion press, as well as a battalion of multi-national camera crews the club swiftly became a victim of its own success.